New Elvis Auction Coming Up - Misc. And here's another Elvis auction, set for December 3rd at Julien's Auction House. 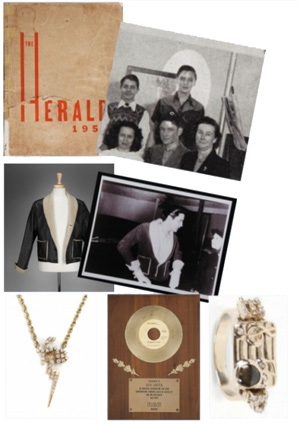 Among the items are the TCB that Elvis gave to Dr. Nick (valued at 20 - 30,000 $US), signed pictures and scarves, a winter jacket, a gold record and a ring given to Felton Jarvis.